Open and free reference design. IMSYS Technologies, represented by Crest Technologies , has introduced a standalone embedded Java module called SNAP - simple network application platform. It allows for quick prototyping and production when time to market is critical, and is suitable for remote control, data processing, and managing of everything from small sensors to advanced surveillance factory equipment. SNAP is a network-ready, Java-powered plug and play reference platform. Access to its underlying hardware can be made through well defined Java APIs (J2ME-CLDC), certified by Sun Microsystems. The use of standard development tools also enables a quick start. The SNAP module is built around the Imsys Cjip Java microprocessor. It features 40MB/s I/O throughput capacity and IEEE 754 floating point arithmetic, making it superior for networked telemetric applications. It offers native Java execution and efficient I/O, with DMA for maximum throughput. 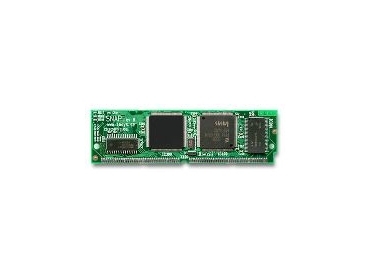 The SNAP module incorporates a standard 72-pin SIMM form factor, which is a commercially proven interface supported by many available host boards. The plug and play shell features provides easy development over Ethernet using Telnet and FTP. Some interfaces that the SNAP module includes are: 10/100Mbit Ethernet, triple RS232 serial ports, dual 1-wire interface, general purpose I/O ports, high speed I2C and CAN. The open and free reference design of this module provides easy integration of SNAP functionality into customised systems.